Don Lemon keeps putting his foot in his mouth. Every few weeks, he has something negative to say about or to the black community. Just weeks after telling black people to pull up their pants, he spoke candidly this morning about his support for the highly contested New York “Stop and Frisk” policy. I, along with the rest of black Twitter responded with the #DonLemonOn hashtag. He deserved it. Lemon, a CNN personality and reverse race activist, had one main question to ask: “Would you rather be politically correct or safe and alive?” His question stems from his assertion that the NY election today could be a major benchmark for the rest of the country. Though, his loaded question implies that stop and frisk has resulted in a reduction of crime because of its effectiveness. While understanding that NY police may abuse the power afforded them by stop and frisk, he still favors the method as a means to reduce crime. Sadly though, Lemon is invariably missing the point. The folks that are getting stopped are not actually committing the crimes. According to a piece published last year in the Huffington Post, the policy’s implementation targets blacks and Latinos with lower likelihood of possessing deadly weapons. A few important facts might help Lemon speak more adeptly on this subject. 90% of those stopped were black and Latino even though blacks and Latinos make up only half of the population in New York City. In essence, more blacks have been stopped than actually inhabit the city. When blacks and Latinos are stopped, the police are more likely to use force. With a 300% increase in stops since 2003, only 176 more guns have been found (that’s over 500k more stops). Even though blacks and Latinos are stopped 90% of the time, they are half as likely to have a deadly weapon in their possession than whites. Stop and frisk has not been shown to affect murder rates. The rate has been dropping steadily since the 1990s. 9 out of 10 stopped are guilty of nothing. Lemon seems not to care about these statistics when expressing his support for “political correctness.” If the conversation were as simple as being politically correct, it wouldn’t be a conversation. In actuality, this is legal racial profiling. There are no checks and balances. The law has not been proven to keep people safer nor reduce murder. Instead, it humiliates black and Latino citizens who – nine times out of ten – are innocent of any crime. This is the equivalent of a teacher punishing an entire classroom because she can’t figure out who made a fart sound when she sat down. Well, black Twitter wasn’t going to stand for that. 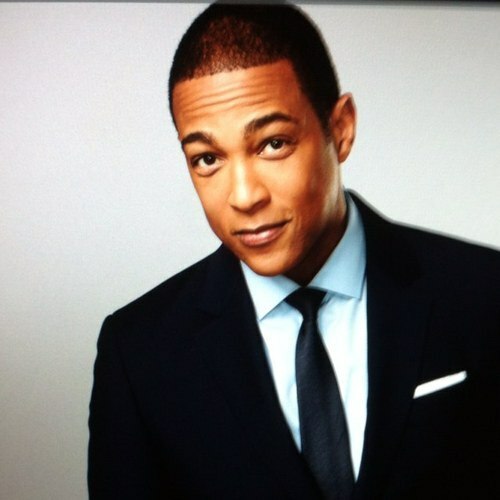 The hashtag #DonLemonOn erupted as we all went in on the idiocy Lemon spewed this morning. #DonLemonOn his black card: BURN BABY BURN!!!! #DonLemonOn A Living Wage: Would you rather these people have more money for crack and sneakers? #DonLemonOn voting: would you rather have 3/5ths of a say or none at all? #DonLemonOn MLK's assassination: would you rather he'd lived long enough to see himself become the villain? #DonLemonOn black civil rights: "Miss me with that." I really wish Don Lemon would sit down and be quiet. But, like I have come to know about my five-year-old son, children don’t always follow good sense. However, I have started crocheting a massive net. I vow this day to round-up every chair in the United States. I will drag them in my net straight to Don Lemon’s doorstep. Hopefully, he’ll be so overcome with gratitude at my fervor that he will indulge me with a seat…even if it is just for a little while. July 4, 2014 What to Don Lemon is the Fourth of July?